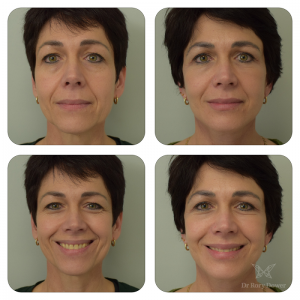 Facelift surgery – considered by many to be the single most powerful technique for addressing facial ageing. From minimally invasive lifts to more extensive surgeries that require longer downtime, there are a number of options to choose from. This month I focus on, what I consider, the most effective facelift technique in delivering the most natural results. Rhytidectomy – more commonly known as facelift surgery – is one of the most well-known and discussed cosmetic procedures in the world. It’s also one of the oldest – last year the facelift turned 100! Early facelift techniques usually involved small, local incisions near the patient’s hairline and in natural skin creases, and used the patient’s skin to pull up sagging soft tissue in an attempt to ‘lift’ it back to its original position. The problem with this technique is that skin is designed to cover the face and not ‘support it’. The skin only or subcutaneous facelift places an enormous amount of tension on the skin which not only causes unsightly scarring around the ears, but also creates an unnatural or windswept appearance, recognisable in many of the celebrities at the time. Although a relatively safe and easy procedure, it fails to address the effects of ageing on the deeper structures below the surface of the skin. It also tends to lose its effect as time goes on and as the skin loses its elasticity. There have been huge strides in facelift surgery techniques over the last few decades as we have come to better understand facial anatomy and why we age. In my opinion, the most powerful of these for delivering natural results, is the High SMAS facelift. The SMAS (or superficial musculo-aponeurotic system) is the underlying supportive structure of the face and acts as a 3-D scaffolding for the overlying skin. The High SMAS technique elevates the SMAS and repositions it to its former, more youthful position allowing us as as surgeons, to then re-drape the skin naturally over the new, more chiseled contours of the face. Importantly, the skin is sutured without tension and because of this, along with the discreet position, scars have a smoother healing process and with time, appear seamless. Harmony and balance are important in facelift surgery and for this reason all the facial units need be addressed in order to achieve the best results. 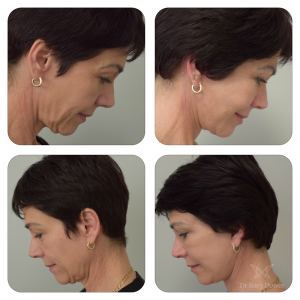 The high-SMAS facelift addresses many of the components of facial aging, not only around the lower face (jowls, jawline, and neck) but also the mid-face (cheeks and nasolabial folds). It does not however address the upper face (forehead and eyes) or volume loss. To address these concerns, many patients opt to have eyelid surgery and/or a browlift, as well as fat grafting at the time of their facelift surgery. Fat grafting helps to restore volume to the areas that need it most, such as the forehead, temples, around the eyes, cheeks, jaw line and lips. A gentle liposuction technique is used to remove fat from the thighs, abdomen, or flanks, and once processed, this fat is injected into various areas of the face, as needed. As with all surgeries, a High SMAS Facelift carries with it some risks, which your surgeon will discuss with you at your consultation prior to your surgery. Recovery time after surgery can vary, depending on your own healing process as well as the number of additional procedures you’ve opted for. Stitches are usually removed about a week after surgery. You can expect a fair amount of swelling and bruising, but the bruising should resolve after 2 – 3 weeks. Swelling usually takes a little longer to go away, but you can expect to look better at 4 weeks than you did before surgery, and you can plan to make an appearance at a big event or special occasion roughly 6 weeks after your surgery. How young will I look and how long does it last? You can expect a facelift to make you look at least 10 years younger. Although one’s face continues to age, with time, you will still look younger in 10 years than your contemporaries who have never had surgery. I believe that the High SMAS facelift technique is worth the extra investment in time and recovery for results that are beautifully refined and long lasting.